3. To encourage greater collaboration between mathematics and the science and engineering programs. For this column, I will focus on the subheading to the title of the PCAST report: producing one million additional STEM graduates. As I explained in my March column, On Engaging to Excel, this impressive number is taken over a decade and includes associate’s degrees. Nevertheless, it translates into the still impressive-sounding goal of an additional 75­ to 80,000 bachelor’s degrees in STEM fields each year. How ambitious is that goal? 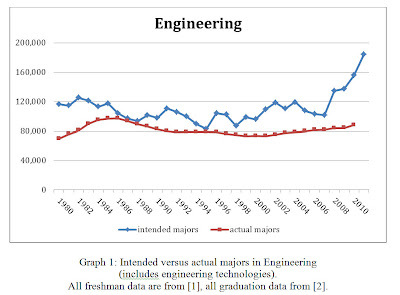 Graph 1 shows the number of full-time freshmen arriving each fall with the intention of majoring in engineering, as well as the number who graduated with a bachelor’s degree in engineering the previous spring. The most recent number of intended majors is for fall 2011. For actual bachelor’s degrees awarded, the most recent number is for spring 2010. It is too soon to be able to tell how well we are doing at retention. The first big increase, with the incoming class of fall 2008, has only just seen the graduation of those who completed their degrees in four years. It will be two more years before the US Department of Education releases the spring 2012 graduation numbers. But the situation in the physical and biological sciences can shed some light on what we might expect. 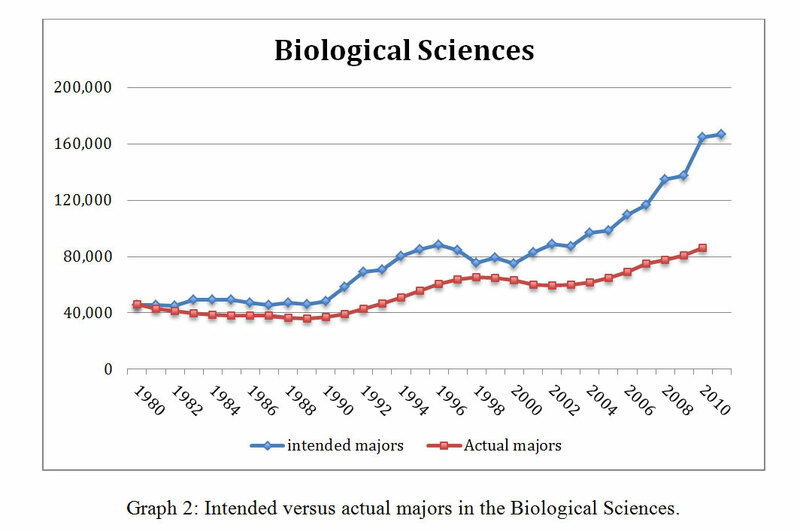 In both cases, the number of intended majors took off following the year 2000, more than doubling over the following decade. 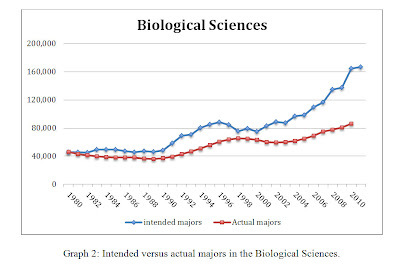 In the biological sciences, the annualized rate of growth in the number of bachelor’s degrees from 2005 to 2010 has almost exactly matched the rate of growth in the number of incoming students five years earlier, at about 6% per year. 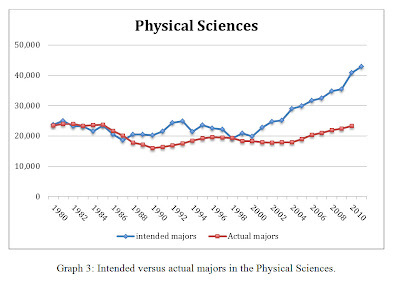 In the physical sciences, the percentage rate of growth in the number of degrees from 2005 to 2010, at 4% per year, is half of the 8% per year growth rate in the number of incoming physical science students five years earlier. 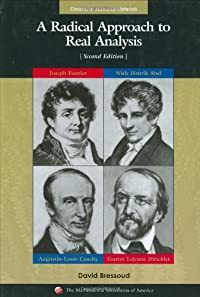 It is reasonable to assume that engineering may be more similar to the physical sciences than the biological sciences. In short, the problem is not with attracting students to STEM fields. The issue will be to retain them. Higher Education Research Institute. The American Freshman. UCLA. National Center for Education Statistics. Digest of Education Statistics. US Department of Education. 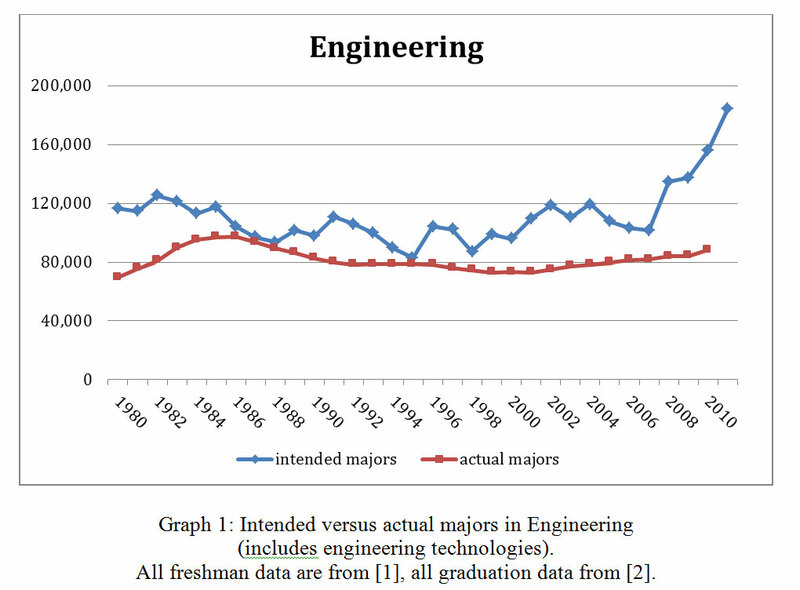 The increased interest in engineering programs is almost certainly a result of the recession that began in 2008 and the high unemployment rate since then. I discussed this connection in an earlier column, A Benefit of High Unemployment, November 2010. 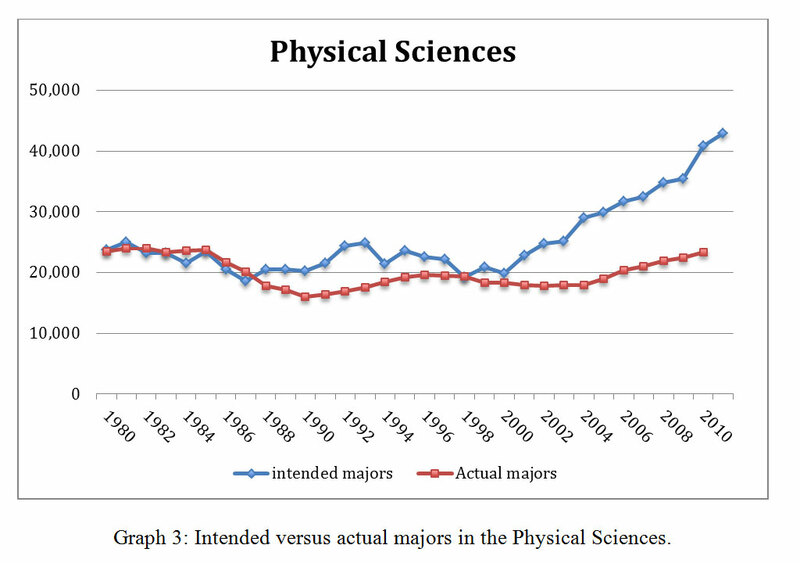 Note that while enrollments in the biological and physical sciences began to increase following the class of 2000, the rates of increase accelerated after 2007. 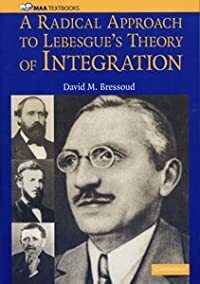 David Bressoud is Director of the Conference Board of the Mathematical Sciences and DeWitt Wallace Professor of Mathematics at Macalester College in St. Paul, Minnesota. 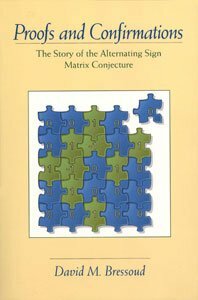 He is former president of the Mathematical Association of America. You can follow him on Twitter @dbressoud. Launchings is a monthly column sponsored by the Mathematical Association of America. This column does not reflect an official position of either the the Mathematical Association of America or the Conference Board of the Mathematical Sciences. The Mathematical Association of America is the world's largest community of mathematicians, students, and enthusiasts. We accelerate the understanding of our world through mathematics, because mathematics drives society and shapes our lives. Visit us at maa.org.